Fencing Solutions operate throughout the Midlands installing Domestic and Commercial Security Fencing and Garden Fencing Solutions. As part of our wide range of services we are now making available for hire our Post Rammer and Post Borer. 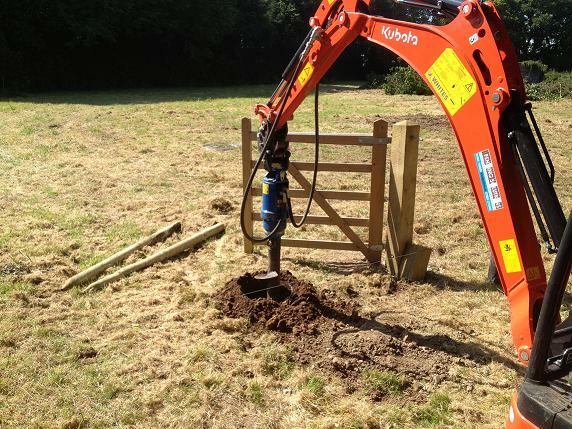 The Post Rammer and Borer makes extremely light work of Farm fencing, perimeter fencing or whatever shape of suitable fencing job you have. Whether you have a commercial requirement or need to keep your smallholding livestock from wandering off your land, we are available to hire on an hourly / daily basis.